ONLY 34,709 Miles! 2WD LT trim. EPA 27 MPG Hwy/20 MPG City! Back-Up Camera, Satellite Radio, Onboard Communications System, Aluminum Wheels, AUDIO SYSTEM, CHEVROLET MYLINK RADIO.. ENGINE, 2.5L I4, DI, DOHC, VVT. SEE MORE! 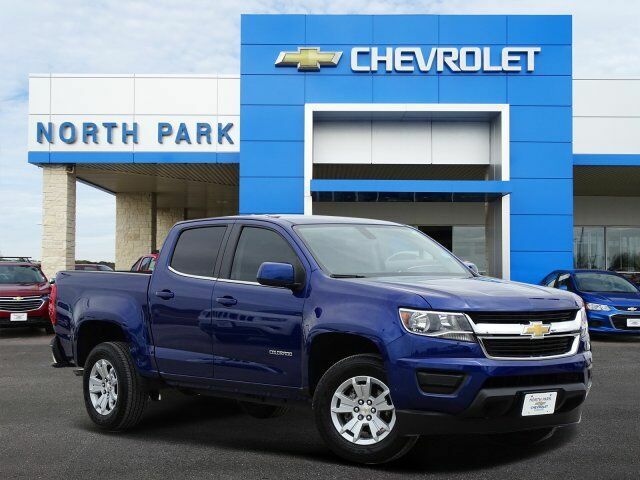 Back-Up Camera, Satellite Radio, Onboard Communications System Chevrolet 2WD LT with LASER BLUE exterior and JET BLACK interior features a 4 Cylinder Engine with 200 HP at 6300 RPM*. TRANSMISSION, 6-SPEED AUTOMATIC, HMD, 6L50 (STD), ENGINE, 2.5L I4, DI, DOHC, VVT (200 hp [149.0 kW] @ 6300 rpm, 191 lb-ft of torque [259 N-m] @ 4400 rpm) (STD), AUDIO SYSTEM, CHEVROLET MYLINK RADIO WITH 8" DIAGONAL COLOR TOUCH-SCREEN, AM/FM STEREO seek-and-scan and digital clock, includes Bluetooth streaming audio for music and select phones; voice-activated technology for radio and phone; featuring Apple CarPlay capability for compatible phone; includes auxiliary jack (STD). Keyless Entry, Steering Wheel Controls, Electronic Stability Control, Bucket Seats, 4-Wheel ABS, Tire Pressure Monitoring System, 4-Wheel Disc Brakes. "Seat comfort is excellent up front, even on long drives, and if you're on the tall side, you'll find headroom and legroom more plentiful than in the Tacoma." -Edmunds.com.